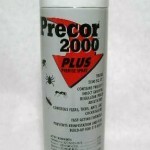 PRODUCT DESCRIPTION: An odorless aerosol which is applied by spraying it onto target surfaces. 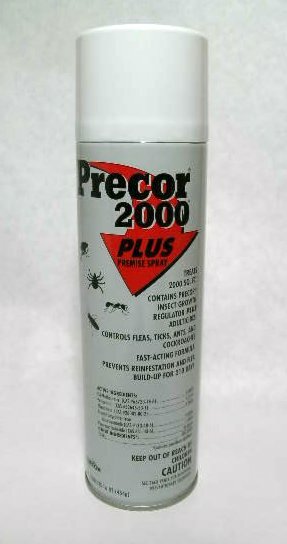 It has both Permethrin and Precor in it's formulation so it is able to provide quick knockdown as well as long term control for fleas. It will not work as well as the liquid treatment or the flea powder. However, it is good for cement, wood floors and mild infestations. WHERE TO USE IT: Cement floors, wood floors, tiled or linoleum floors. RATE OF APPLICATION: One can will treat up to 2000 sq/ft. It will spray for about 12 minutes so it takes about 30 seconds to treat 100 sq/ft.